This festive season seems to be a launch pad for Automobile manufacturers to showcase their new products and Toyota Kirloskar Motors has done just that by introducing the 2014 Toyota Innova Limited Edition(LE). Toyota launched the Innova Limited Edition to regain its share in the MPV market, since the Mobilio has stolen all the limelight from the time it was launched. The 2014 Toyota Innova Limited Edition is based on the current Gx grade with the option of a seven and eight- seater in both Euro III and Euro IV engines, which come with a price tag of 12.9 lakhs and 13.1 lakhs respectively (ex-showroom Delhi). 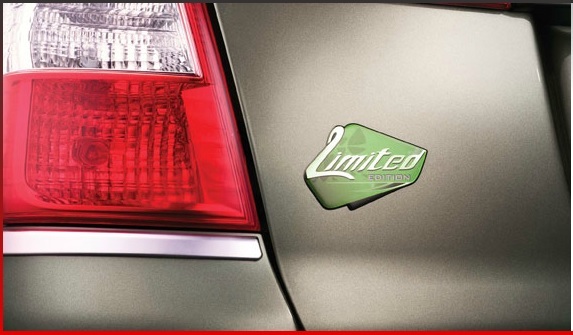 Toyota plans to sell 1500 units of the Innova LE between September and November 2014 in select cities only, but in other cities the Limited Edition kit will be available. 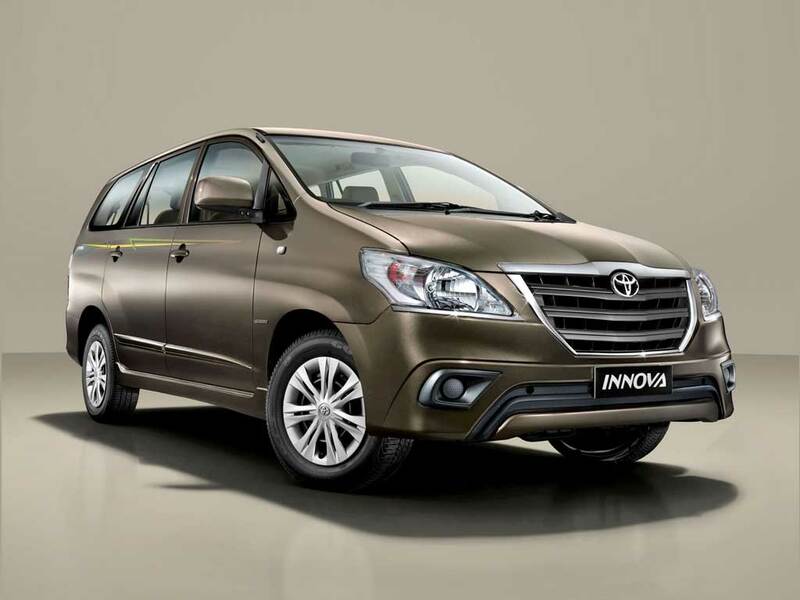 The 2014 Toyota Innova Limited Edition gets a new color scheme- Bronze Mica Metallic, it also features new contemporary body graphics, a Limited Edition badging at the rear end along with chromed lined headlamps and a new combination of tail lamps, which sum up the exterior changes on the Innova LE. The interior gets a minor tweak with the inclusion of a touchscreen audio display with Bluetooth connectivity, dual-tone fabric seats and the color co-ordinated door trims give the Limited Edition Innova a classy feel. Along with the aesthetic changes, the new Innova LE comes with drivers-side air-bag and ABS. 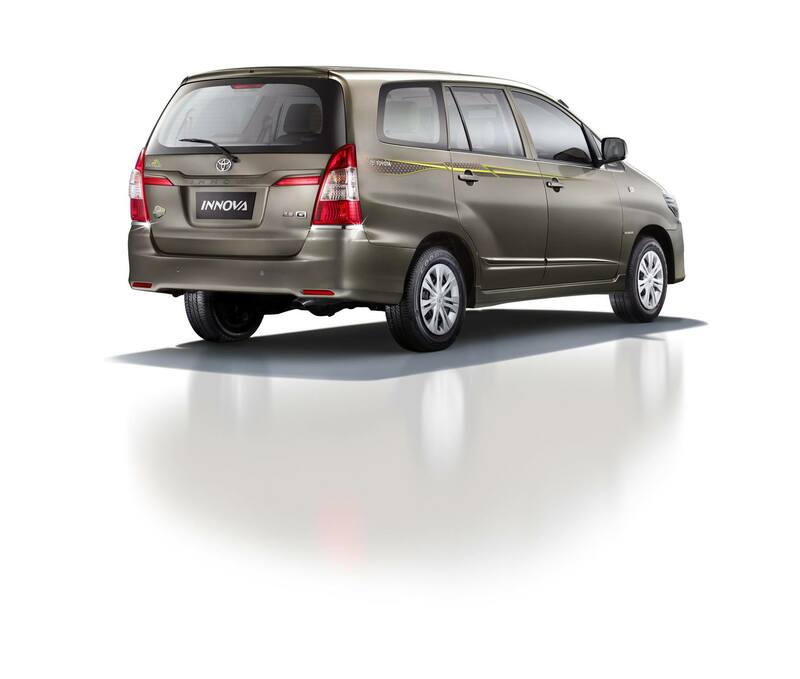 Powered by the same 2.5 liter, diesel motor, producing 100 BHP of power and 200 Nm of torque, the 2014 Toyota Innova Limited Edition should help to increase Toyotas share in the MPV car segment in India.